Before he became one of the greatest rappers of all-time, Tupac was just a teenager in love. 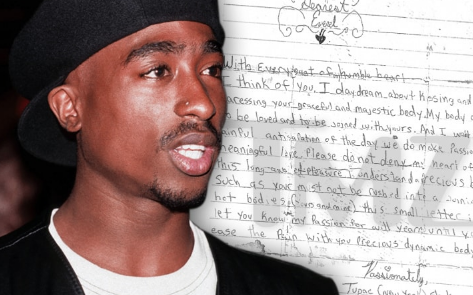 14-year-old Tupac wrote two letters in 1985 to his classmate Averel and is on sale now for $15,000. Averel allegedly sold the letters to Moments In Time and wasn't "too impressed" with his writing. The first letter opens with Shakur introducing himself as 'Tupac (Two Pack),' a hint at his future rapper name, 2Pac. He also explains that his name is of Puerto Rican descent, that he's 1/4 Puerto Rican and 3/4 black, and that he's from the Bronx, New York.